Strong storms and an expected sea level rise might break-up aged rubbish dumps across the British Isles. A study has shown that this problem could possibly release toxic waste. 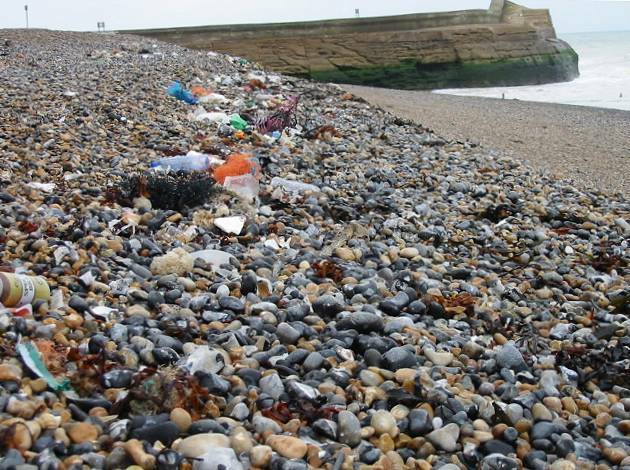 In total there are over a thousand old landfill sites in coastal areas. As the land erodes the chances are some or all will be breached, which could pose serious dangers to wildlife and bather alike. Before the 1990s there were little or no regulations on what could be dumped in landfill, and we don’t know what toxic materials they may contain. However, some were even used to raise land levels and even as part of flood defences. Now climate change is bringing higher sea levels and stronger storms, putting once used rubbish dumps at greater risk. The study, funded by the EA (Environment Agency), looked at two sties in Essex to assess the level of toxicity in the refuse they collected. They discovered a high level of harmful metals such as lead. Kate Spencer, an environmental geochemist at Queen Mary University of London said: “Our findings show, that in the event of erosion, there would be serious environmental consequences due to the level of contaminants. In total there are 1,264 historic landfill sites in the coastal zone where the risk of flooding has been previously estimated at some stage between in coming years. 537 of these are in or near bathing water catchment areas and 406 are in or near sites of special scientific interest.